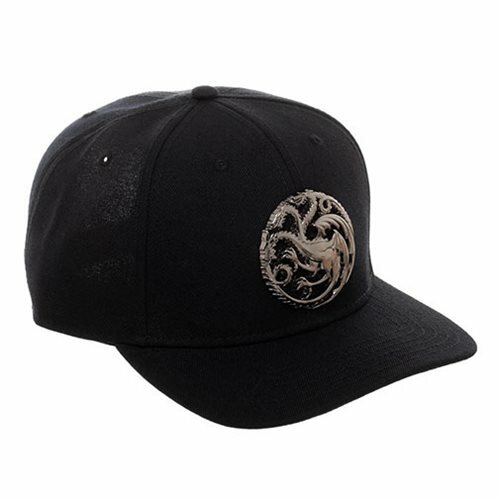 The 3D sculpted three-headed fire-breathing dragon on the front this acrylic wool Game of Thrones House Targaryen Black Snapback Hat leaves no doubt where your loyalties lie. The visor is pre-curved and one size fits most. Hand wash cold. Lay flat to dry.